I'm putting together the last article in my series on how to indie publish a picture book, and I realized it would be a good idea to point you to some helpful resources for publishing a picture book to Kindle, as well. This video on Amazon Kindle Comic Creator is a good one. Comic Creator is free, and you can download it here. In the first two parts of this series, I showed you why you might want to publish a picture book, why I prefer to publish through CreateSpace, and what goes into writing a picture book. Now it’s time to discuss what makes a picture book a picture book—illustrations. There are so many ways to produce artwork for a picture book; but no matter how you do it, you’ll save time and make your art look its best if you make it the right dimensions, amount of room for text, dpi, format, and so on from the start. This article is about how you can do just that when preparing a picture book for publication with CreateSpace. Every illustrator works differently. I like to draw a storyboard as thumbnails, sketch individual pages with a pencil on a piece of paper or cardboard, ink it, scan it, and then color it on my computer. Some like to draw on a tablet, like a Cintiq, that inputs their work directly into a computer. (I’d probably do that myself if I could only afford one!) Others like to work almost entirely on paper or canvas. And still others prefer to work in clay or another three-dimensional form of art that has to be photographed before it can become a picture book. No matter how you plan to do it, it’s best to keep in mind from the start what you’ll need to make the finished book look great. It’s best if the dimensions of your artwork match the pages of the finished book, plus a bit extra for edges that will probably be trimmed off. This is particularly true if you intend to choose the bleed option for your book, and you probably will. “Bleed” means that the artwork you submit will run a little past the edges of the trimmed book. You'll probably want that, because otherwise any color backgrounds you create might have unsightly white edges if the book doesn't get trimmed exactly right (which it almost certainly will be). 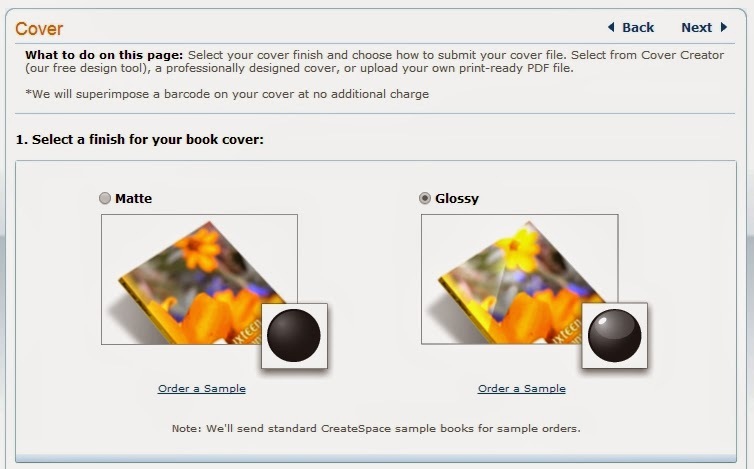 With CreateSpace, you need to add 0.125 inches to all edges of the page that might be trimmed, which means adding 0.125” to the width and 0.25” to the height (since the top, bottom, and outside edge of the page will be trimmed, but the side of the page next to the spine won’t be). 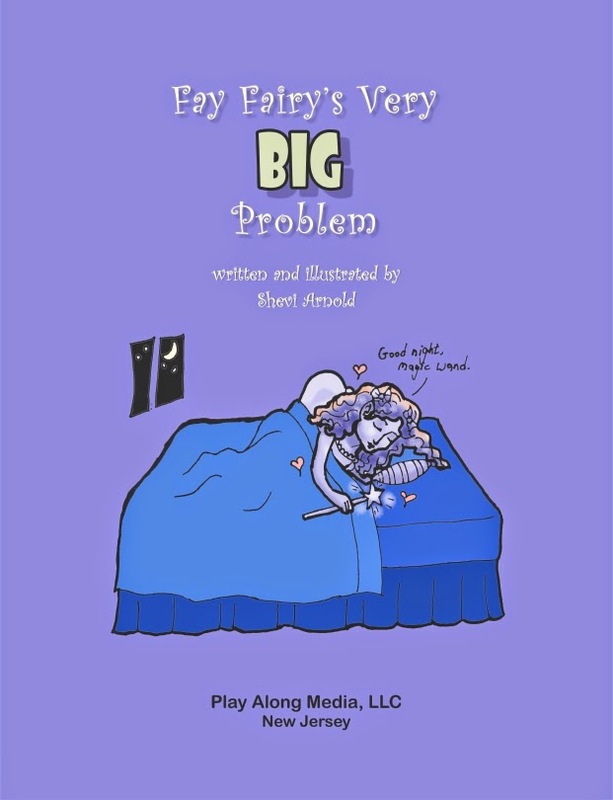 I chose the 8.5” x 11” size, because I like big picture books (they seem to work better for books that adults are meant to read to children), and because I felt the large size better reflected the title, Fay Fairy’s Very BIG Problem. This meant I had to create finished artwork that was exactly 8.625” wide (8.5” + 0.125”) by 11.25” high (11” + 0.25”). Of course, the amount of space you'll need to leave for text will depend on the amount of text that will go on that page, as well as the chosen font size and leading (the space between the lines). Some old-fashioned picture books have so much text on a page that they have little or no artwork on any page that contains text, leaving illustrations to every other page in the book. Usually, these books will have text on the left and illustrations on the right. Some picture books have only have a word on each page, and some even have no words at all. Most, though, need to have about a quarter to a third of the page available for text. This space doesn't have to blank, but it shouldn't contain too many colors or include any important or distracting elements. It’s best if the text is at least an inch away from the edges of the books on all sides—including the gutter (the side of the page that meets the spine). In fact, you should try to avoid putting anything important within half an inch of the top, bottom, and sides of the page. The external edges might get cut, and the reader might not open the book wide enough to see what’s in the gutter. This is especially true for double-page spreads. Another thing to keep in mind when it comes to double-page spreads is to avoid putting horizontal lines near the gutter. The two pages might not line up correctly vertically, so a horizontal line might end up looking oddly higher on one page than another. 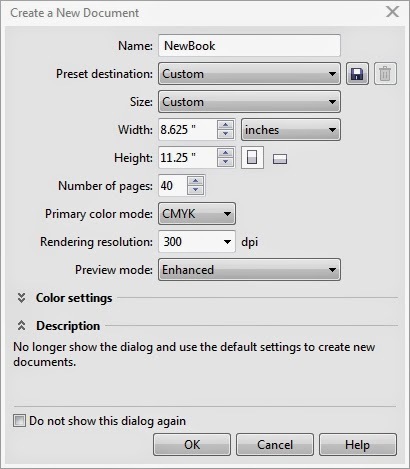 When you’re inputting artwork or manipulating it on a computer, work in 300 dpi (the minimum required by CreateSpace) and CMYK (which are printer colors, not computer monitor colors). 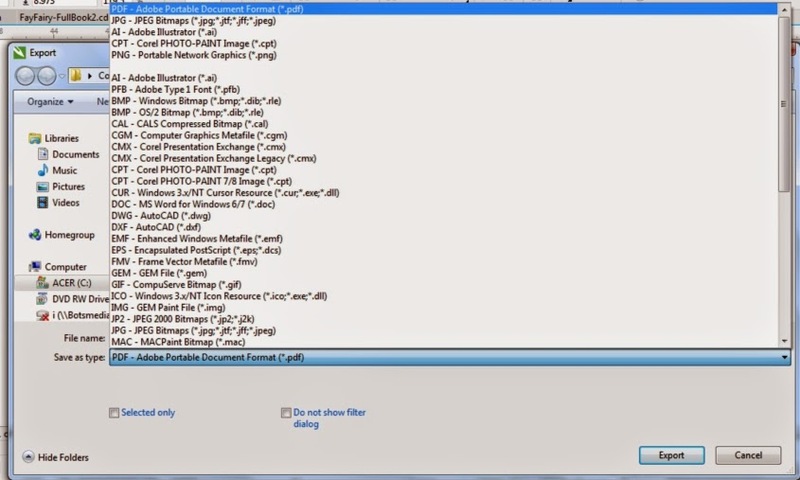 Save in your art software’s native format, whatever it may be. (For example, I work in CorelDraw, so I save my files either in cdr or ctp format.) Anything else, like gif or jpg, might alter the look of your artwork or degrade the digital files each time you save them. Don't worry about compatibility issues. No matter what format you work in, you'll eventually have to convert the entire book into a pdf file when you upload it to CreateSpace (I'll go into how to do that in the next article). I also recommend that you avoid over-saturating colors. This is something I learned when I was a comics magazine editor. It’s best to err on the side of caution. For example, 100% Cyan and 50% Magenta make a very nice dark blue. Yes, you can go with 100% of those two color and add some black to create a really dark, dark blue, but it’s overkill. When it comes to printed books, less usually works better. Also, if you can avoid putting bright red next to black, you probably should. Those two colors don't like each other (which is something I learned when I was a layout artist at a newspaper). 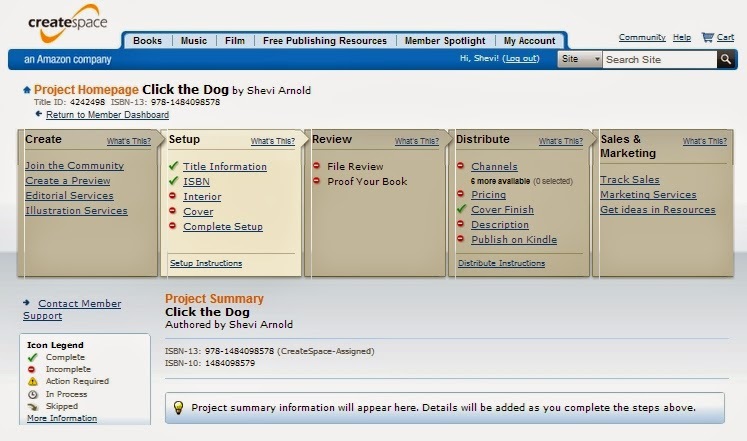 Create a storyboard that shows you how even and odd pages will look next to each other. Remember to keep the first page alone on the right (which is the standard for books that don't start with a double-page spread), and remember that even pages of books in English will go first on the left, and odd pages will go after them on the right. Try to design side-by-side pages that complement each other or at least don’t tell a story you don't want to tell. Consider things like where your characters are looking and how the colors on these pages will best look together. In general, characters looking to the right are looking toward the next page of the story, and that’s usually (but not always) a good thing. Colors should be balanced in some way, so that if a color appears on one page, it will often help to have that color or a similar color on the facing page. Also, consider how the eye will flow through the two pages, whether any of your lines are pointing at something, and whether that’s something you want to stand out. 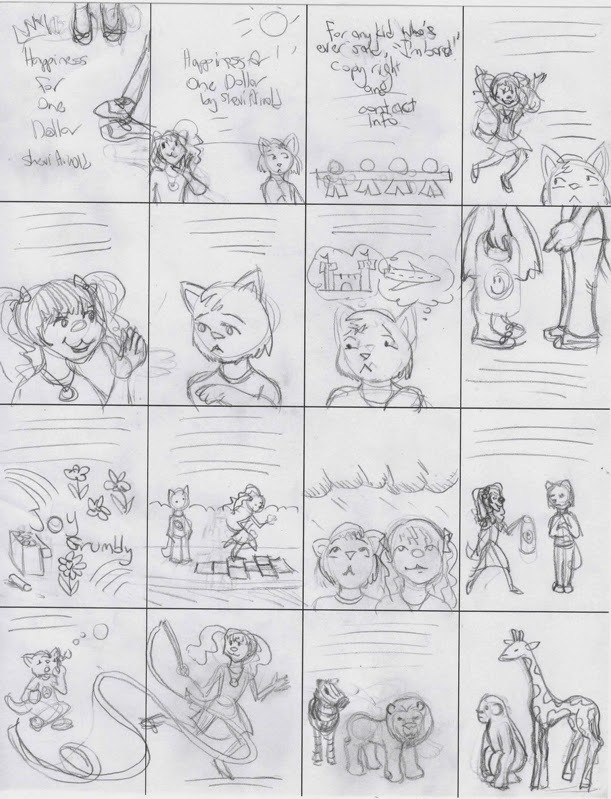 The first storyboard page for my as yet unpublished picture book, Happiness for a Dollar. The top line of this storyboard includes the cover, interior title page, copyright page, and the first page of the book. 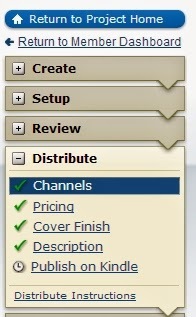 All lines after it show what the even and odd pages will look next to each other. You might notice that the girl in the story is facing right, while the boy is facing left. That helps indicate that she’s looking forward to the rest of the story, while he’s apprehensive. Notice the color background and the magic wand at the top of the page. I also used the interior title page to tell part of the story. It’s the first time the reader gets to see Fay as a fairy, and it’s important, because she doesn’t look like a fairy again until the end of the book. You’ll also noticed that I used different shades of the same color as the copyright page so the two will look right side by side. 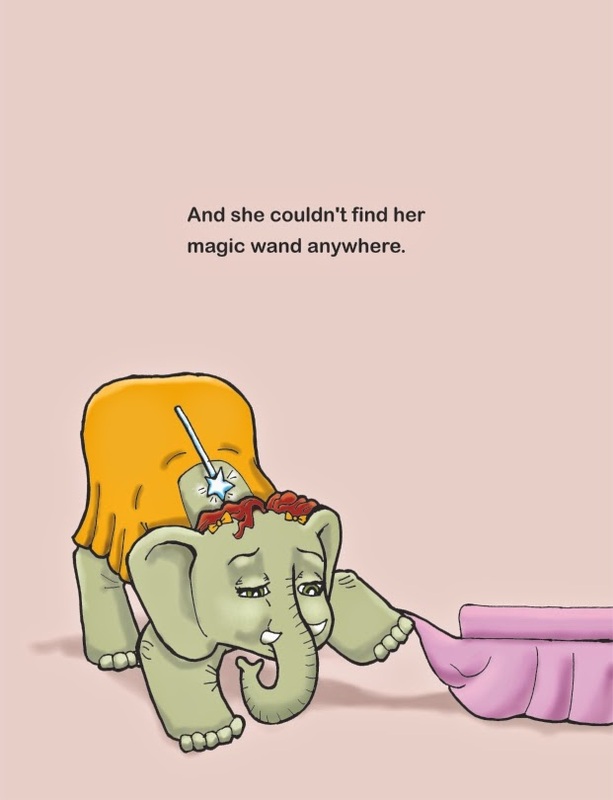 Fay’s magic wand is also on both pages. 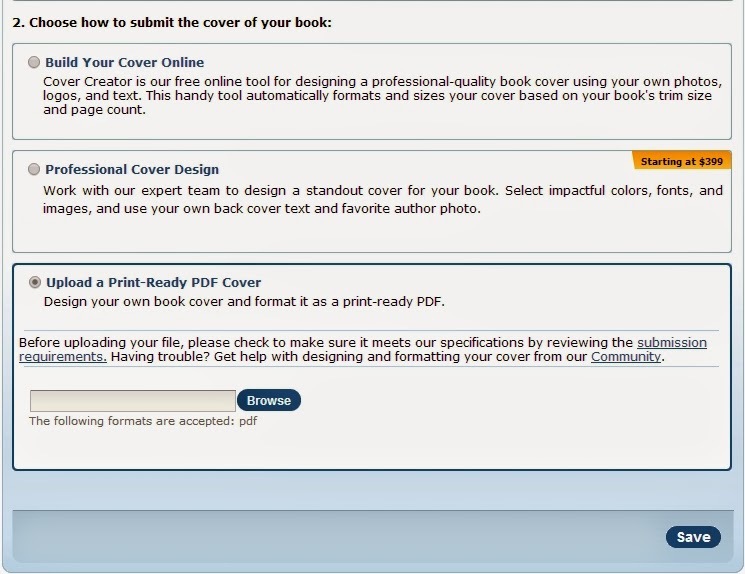 You’ll need to have a file with just the front cover, so that CreateSpace, Amazon, and others can show the cover on your book’s page; but you’ll also need an additional file that includes the front cover on the right and the back cover on the left, with 0.002252” times the number of pages added to the width to account for the spine. For example, a 40-page picture book will need the file with the front and back cover to be 0.09008” wider than the width of the cover and back cover alone side by side. 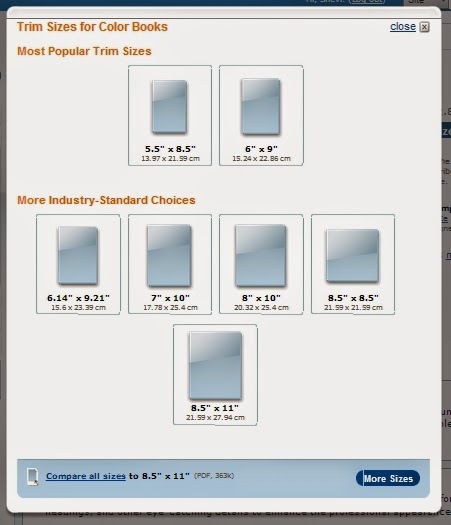 (For example, a 40-page book like mine with pages that need to be designed so that they are 8.625” wide will have a combined front and back cover file that is 17.34008” wide, which is 8.625” + 8.625” + 0.09008”) The front and back cover should more or less match up at the spine, because there’s a possibility that a part of the front cover near the spine might end up in the back, or vice versa. Make sure that the back cover of your book has a space at the bottom right, where CreateSpace can insert a barcode. And finally, as with the story, the illustrations in a picture book need to be clear enough to convey the story easily. Also, as with the story, they need to appeal to both the adults who will buy the book and the kids that the adults are buying the book for. Look at recently published picture books to get an idea of how the different visual elements work. And again, as with story, you can read Writing with Pictures: How to Write and Illustrate Children's Books by Uri Shulevitz for more information on this topic. Okay, so now you should have the text and the illustrations for your picture book ready for publication. 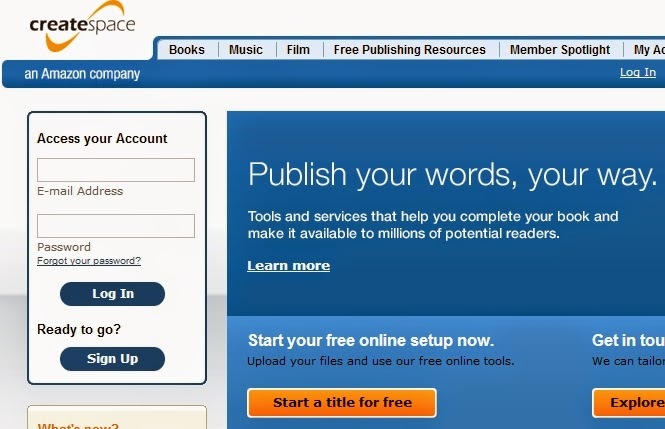 In the next and last article in this series, I’ll show you how to prepare it all so you can upload it to CreateSpace, publish it, and start selling it. 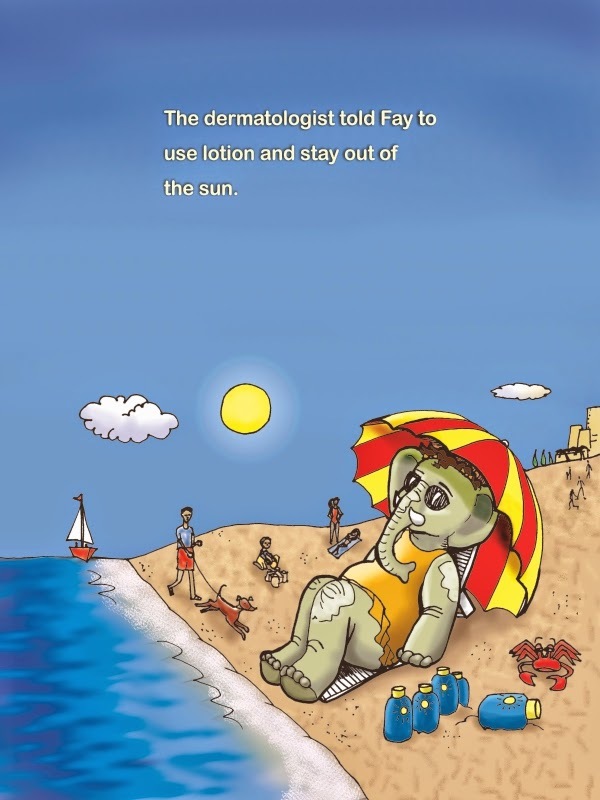 After publishing four novels for kids, teens, and adults who love YA books, I decided to publish a picture book: Fay Fairy’s Very BIG Problem. I ran into a few problems of my own, and so I decided to write this series of articles to remind me how to avoid or overcome those problems next time, and so others can do the same. In the first part of this series, I showed you some of the right and wrong reasons to indie publish a picture book, the skills necessary to do it right, and why I choose to indie publish with CreateSpace. Now we're going to look at the first stage of creating a picture book—writing. If you're reading this, you probably already have something written down or you at least have a good idea of what it is you want to write. I have, however, noticed a few basic mistakes that picture-book writers often make when they're starting out. First, a picture book should be under 1,000 words—and under 500 words is even better. Little kids have short attention spans. Make a picture book too wordy, and your book will probably lose their attention. So make it as short as you can, and make every word count. Second, a picture book isn't just a story with pretty pictures added to it. A picture book needs pictures to tell the story. So if your story contains any words that can simply be shown in the illustrations . . . Cut. Them. Out. For example, if your story says, “Abigail had red hair,” or even “Abigail’s red curls bounced as she walked,” cut out the part about how her hair looks. Let the illustrations simply show what Abigail's hair looks like. If you're not an illustrator, don’t even mention it in the illustration notes unless it’s vital to telling the story. You might feel inclined to tell the illustrator, for example, that Abigail has red hair because your daughter has red hair, and you want the character to look like your daughter. But if it's not really vital to the story, leave it out. Let the illustrator best tell his or her part of the story the best way that the illustrator knows how. Maybe that’s drawing Abigail with red hair, but maybe it's drawing her with black hair. Maybe it’s by drawing Abigail as a bunny rabbit. The important thing is to give the illustrator the freedom to make your story the best that it can be. The manuscript for Fay Fairy’s Very BIG Problem. Notice that the illustration notes only explain things that are necessary to the story and that are not easy to infer from the story itself. Also note that the words are in the font and format that will be used in the finished book to make it easier to copy and paste the words directly from Microsoft Word into the artwork. Third, make your story kid, parent, teacher and librarian friendly. You’d think this goes without saying, but you wouldn't believe how many writers insist on writing stories that are meant to appeal just to kids or just to parents. Of course, you want kids to shout, “Again!” But that’s not going to happen if an adult doesn't buy the book first. Of course, you want an adult to buy the book. But that’s not going to happen if the kid isn't going to want to hear it. You should also consider what your picture book offers a parent, teacher, or librarian that can't be found in another book. A parent, for example, might need a picture book about blended families or living with a developmentally disabled sibling or a bunch of other stuff that Dr. Seuss never considered writing about. A teacher might need a book about dinosaurs or rivers or a recent historical event or how to deal with a bully. And librarians are constantly being asked for books on topics they don’t have. Having a book on a needed topic can be a great way to land those paid classroom and library visits that—as we saw in part one of this series—can be a picture-book writer’s or illustrator’s bread and butter. Obviously, this is true for nonfiction, but it can also be true for fiction. So ask yourself what your book might offer its potential buyers, not just the kids that make up the intended audience. One way to do this is to imagine offering your services as a visiting author to an elementary school teacher. That teacher is going to want you to do more than just read your book. What are you going to teach kids in connection with your book? 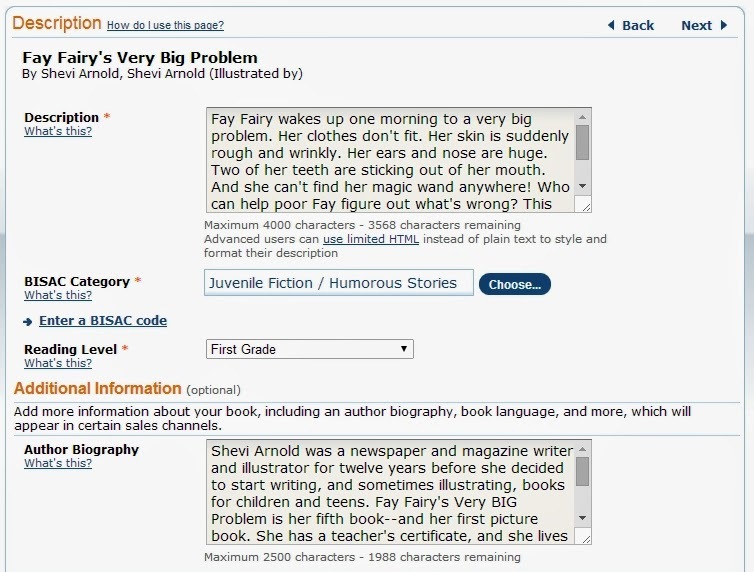 Are you going to make your author visit interactive? If so, how? 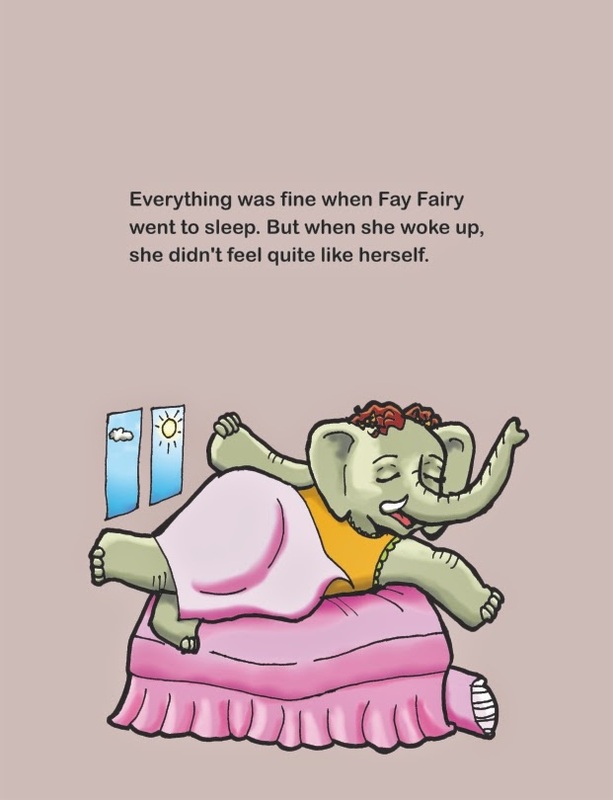 Fay Fairy’s Very BIG Problem, for example, has a page in the back explaining how I created the story by taking an ancient Indian parable—”The Blind Men and the Elephant”—and changing it by asking, “What if the story were told from the elephant’s point of view?” I would start my author visit by telling the kids the original parable and how it gave me the idea for my book. Then after reading my book to the children, I would ask them to pick a story they all knew, like Cinderella, and I would ask them to see how many different stories they could create by changing parts of it, like the point of view character or the setting. It would be a creative exercise, and it would also teach them a bit about writing and the parts of a story. So how can you turn an author visit into something more for a teacher and her class? It’s something you should think about before you've even published your book. The story behind your book—whether if it’s the story of how you came up with the idea or how you got it published—can often be a great topic for an author visit. 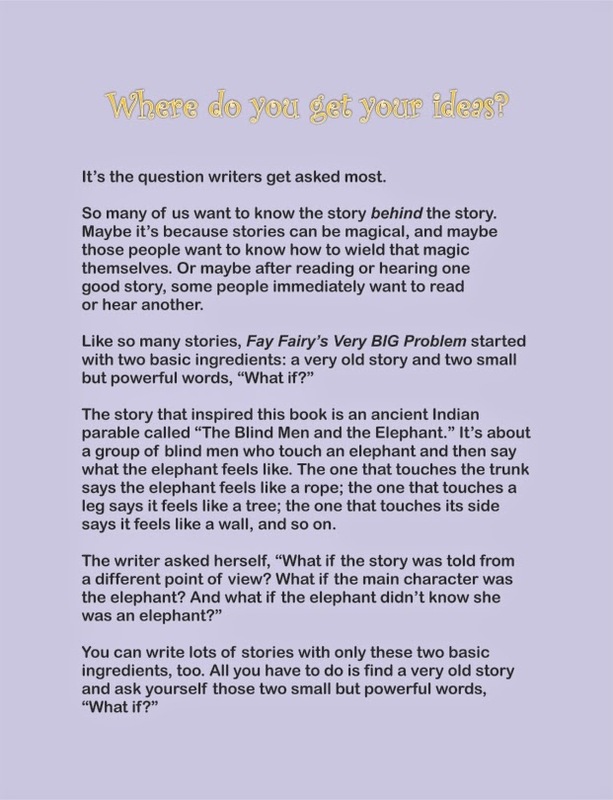 This page at the back of Fay Fairy’s Very BIG Problem explains the simple method I used to come up with idea for it—and how the reader can use the same method to come up with his or her own story ideas. Fourth, know the difference between a picture book that a parent reads to a child and a picture book that a child reads on his or her own. The first can have longer and more complicated words and sentence structure, but the second has to have short and easy to read words and simple sentence structure. I Love You the Purplest by Barbara M. Joosse is a good example of a book that was meant to be read to a child. Green Eggs and Ham by Dr. Seuss is a good example of a book that a child is meant to read on his or her own. Fifth, map out your book so that you’ve worked out what text goes on what page. 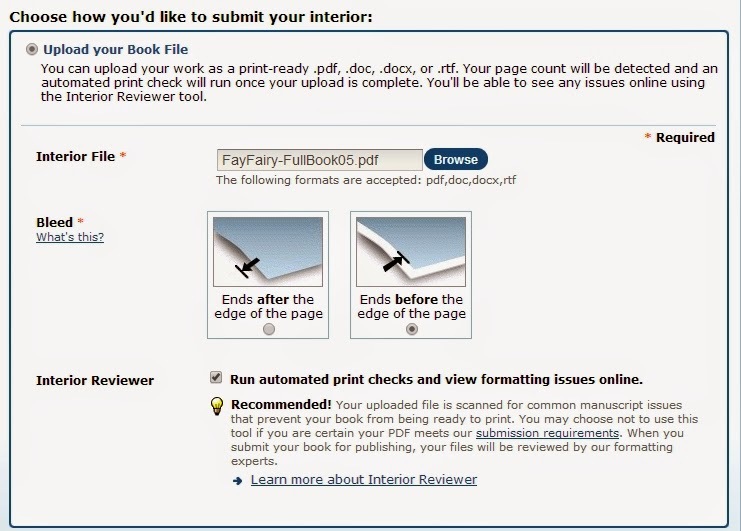 CreateSpace prefers picture-books that have exactly 40 pages. Subtract the interior title page and the copyright page, and that means ideally your story should fill 34-38 pages. Pay attention to the rhythm between odd and even pages. Unless your book is made up entirely of double-page spreads, odd pages should go on the right, and even pages should go on the left after the reader has flipped the page. This means that odd pages are great places to ask questions, and even pages are great places to answer them. For example, on an odd page it could say, “What should Gloria Gorilla wear to the ball?” The child thinks about it for a moment, picturing a ball gown. The page is flipped, and . . . The child giggles as she sees that Gloria Gorilla is wearing a swimsuit, or pajamas, or a spacesuit, or pretty much anything that seems a silly answer to that question. This is the storyboard I made for my still to be published picture book, Click the Dog. While a writer who isn't an illustrator probably won't make a storyboard, writers should map out their picture books in a similar way, using text instead of illustrations. Study hundreds and hundreds of modern picture books. Pay attention to what goes into them, how many words they have, how the pictures tell the story, how they appeal to both the adults that buy them and the kids the adults buy them for, the length and complexity of the words and sentences they use, and how the story is mapped out. Also ask yourself if this is a story that has been told before. If so, what does your story offer that’s new? If not, why hasn’t a book like yours been written before? And finally, when you’re sure you've written the story you wanted to write in the best way possible, edit and edit and edit it some more. Get other people to look it over for you. If you can, join a critique group for picture-book writers, get your manuscript critiqued at a SCBWI (Society of Children’s Book Writers & Illustrators) conference, or find someone nice enough to critique it on Verla Kay’s Blue Boards, which are now the official SCBWI boards. Picture books are very short, and every word has to be exactly right. There’s no room for errors. And it helps to get a second pair of eyes to look it over. Of course, you need to be open to honest feedback. Just remember it’s not about you; it’s about making your story the best that it can be. Once you're done, put the text in the size and font choice that you want. I asked my Facebook friends, who are mostly writers and illustrators, about recommended font size. The consensus was that a 16-point font is best for picture books. However, I found that was too small for the size I was planning to print the finished book, which was 8.5” x 11”. I chose a 20-point font instead. I also discovered that nowadays sans-serif fonts are considered the norm for picture books, because they're easier to read in short passages, particularly for young children. Helvetica is considered the best, but because I work on a PC, I chose Arial, which is similar. And I chose Arial Rounded because that fit better with the soft, rounded, and elephantine look I was going for in the book. I chose a 1.5 line spacing, because more distance between lines makes it easier to read; and I chose not to paragraph indent, because there were too many paragraphs that were made up of just one line. I also made sure that the final line of each paragraph with more than one line had at least two words on it, so it wouldn't look strange. I find it’s easier to format paragraph text in Word than in a graphics program, like CorelDraw, so I did all of this in a Word file with extra-wide margins. 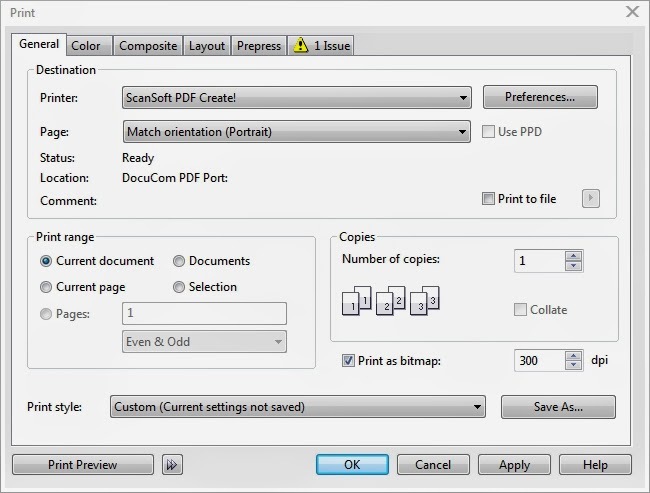 That way I could just copy and paste the text for each page from Word directly into CorelDraw without having to make too many adjustments. 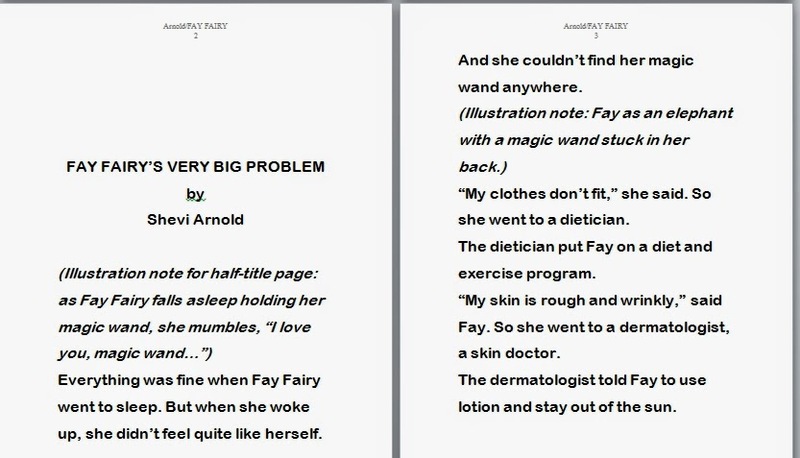 The inside title page and the first two pages of Fay Fairy's Very BIG Problem. Notice how the title page can also be used to tell a part of the story. Of course, this is only the part of the writing that involves the story. You’ll also need to write a great title, the blurb (both for CreateSpace and the back of the book), your author bio (at least for CreateSpace, if not for the last page of the book), the copyright information (look at other books for ideas on how to do this), and a dedication or a whatever extra materials you might want to include. Having all these bits of writing done in advance can help make the final parts of creating a picture book and publishing it with CreateSpace a lot easier. 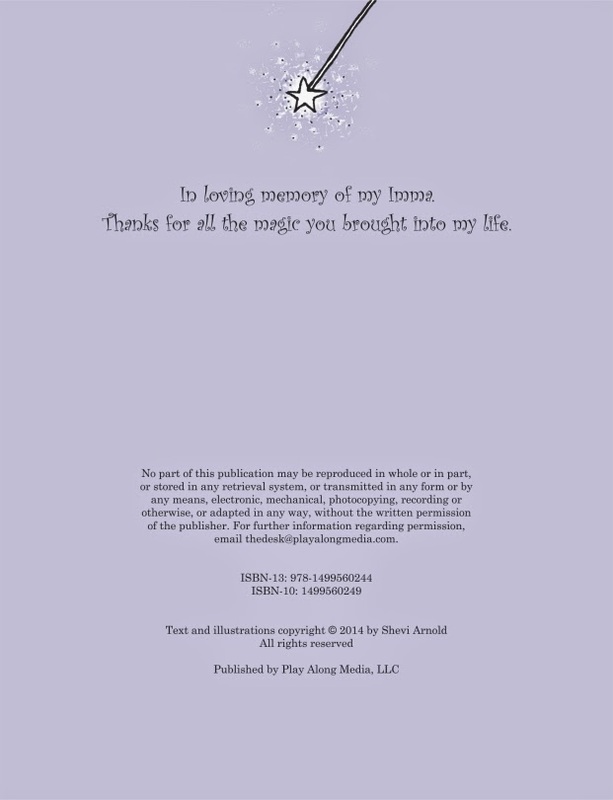 The copyright page from Fay Fairy’s Very BIG Problem. You can go to Copyright.Gov to get an official copyright, but don’t worry if you don’t have one: anything original you write belongs you the moment you write it down, whether you've purchased an official copyright or not. 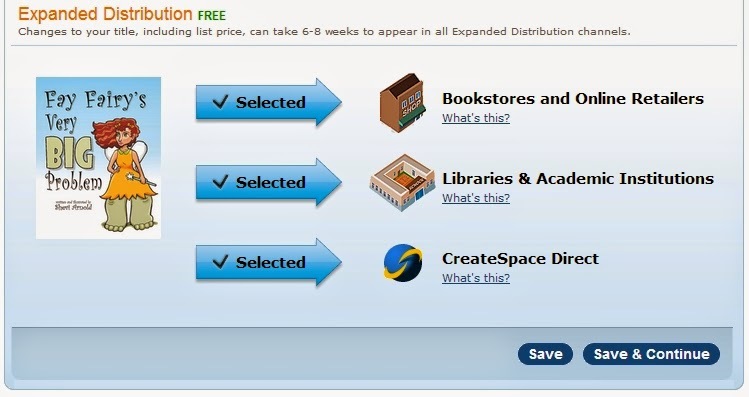 CreateSpace will provide you with the ISBN for your book, so it’s not necessary to purchase one if you publish with them. For more information on writing picture books, I highly recommend Writing with Pictures: How to Write and Illustrate Children’s Books by Uri Shulevitz. Picture Writing: A New Approach to Writing for Kids and Teens by Anastasia Suen and The Complete Idiot’s Guide to Publishing Children’s Book by Harold Underdown are also great books that deal with the topic. I also highly recommend Underdown’s fantastic website, The Purple Crayon, for all things related to children’s book publishing. It’s just overflowing with useful information. That takes care of writing your picture book. In the next article in this series, we're going to look at illustrating it. Hope to see you then! 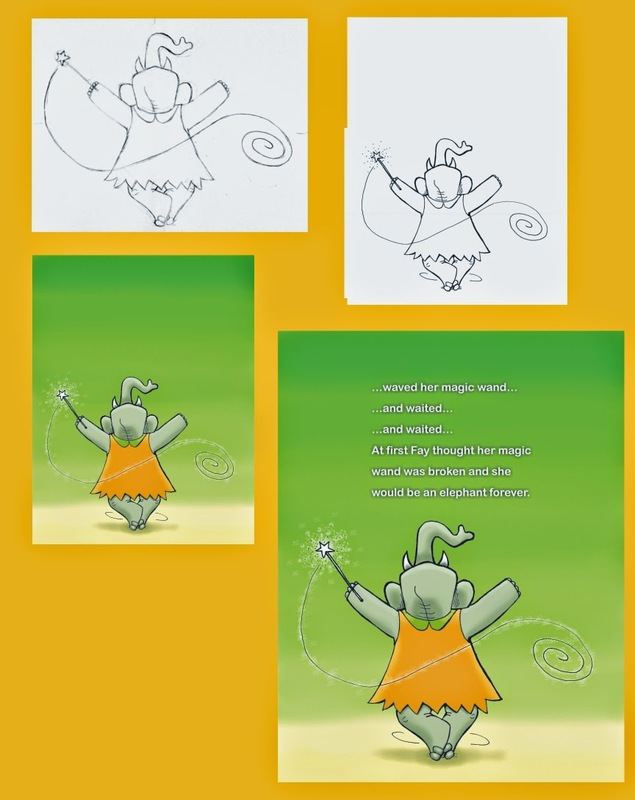 So I recently published my first picture book, Fay Fairy’s Very BIG Problem, and I learned a few things (or to put it another way, I ran into a few big problems myself and was able to find out how to fix them). I figured it would be a good idea to put together a series of articles about the experience, since it doesn't seem anyone else has really done that. There are a million and one blog posts about how to indie publish in general, but when it comes to publishing picture books, the information seems to be scattered in little answers to little questions all over the 'Net. This post will hopefully help me get it right from the start next time, and hopefully it will also help anyone else interested in indie publishing a picture book avoid some of the problems I ran into. First, why would you want to publish a picture book? There are so many good reasons not to publish a picture book. Picture books are the most expensive books to create, because full-color books cost more to print (and most picture books have to be full color). If you’re not an illustrator, hiring a good one should cost you minimally a hundred dollars per page. Minimally. Per page. It can cost a lot more than that for good art, and you want good art. There are just too many picture books out there with bad art, and no one needs that. So if you're thinking of publishing a picture book because you think they're easy to write and you can get your six-year-old to supply the illustrations, well . . . I'm not saying you shouldn't, but don't do it thinking you're going to sell a thousand or even ten copies. Do it because it sounds like a fun family project. Otherwise, don’t do it unless you’re an illustrator yourself. Okay, so let’s say you're a writer-illustrator, like me. I was an editorial cartoonist, a newspaper illustrator, a layout artist, an arts-and-entertainment writer, and even a consumer columnist. Of course, you don’t have to have been all of that. You just have to have some talent in writing and especially illustrating, and you have to enjoy putting words together with illustrations. Illustrations are more important to a picture book than writing, because you there are lots of picture books that don’t have words or that have very few words; but there’s no such thing as a picture book without illustrations or some sort. Let’s say you're going at this with a realistic understanding of the rewards. You know you're not going to sell a lot of copies. Sure, it might happen, but that's not your expectation or your goal. You know your book will be competing against The Cat in the Hat, and Winnie the Pooh, and whoever Disney’s latest princess is for a book buyer’s dollars. And you can’t expect to win against that sort of competition. We're doing this because professional picture-book writers and illustrators know that the real money that’s to be made in picture books doesn't come from selling copies of books; it comes from paid school and library visits. Professional picture-book writers and illustrators also know that one leads to the other. Do a reading at a library, and chances are that some of the parents will be interested in buying copies of your book. Yes, there are author visits in middle schools, and sometimes even in high schools, but it’s generally easier to get gigs like this with picture books. It's also fun. That was my reason for deciding to publish a picture book after having published four novels for kids, teens, and adults who like books for kids and teens. I wanted something for a younger age group; I wanted something for library visits, school visits, and parents with small children at street fairs. And I understand I’m still not finished, because during the last street fair I participated in, I met some kids and parents who were looking for early chapter books, the kind of thing suitable for third grade. I actually have one of those I started to work on, Gloria Turkey: Biggest Bird on Broadway, a funny tall tale about the creation of the first Macy’s Thanksgiving Day Parade. It’s on the backburner (along with several other books), because it will require a hundred or so more illustrations than I've already put into it (about 50 or 60). But at least I've now expanded my potential audience with my first picture book. Getting back on topic, let’s say you have what it takes to make a picture book, and you’re going into this with reasonable expectations. Since youve decided to go it on your own, the first thing you’re going to want to do is find a service that will print and distribute your books. 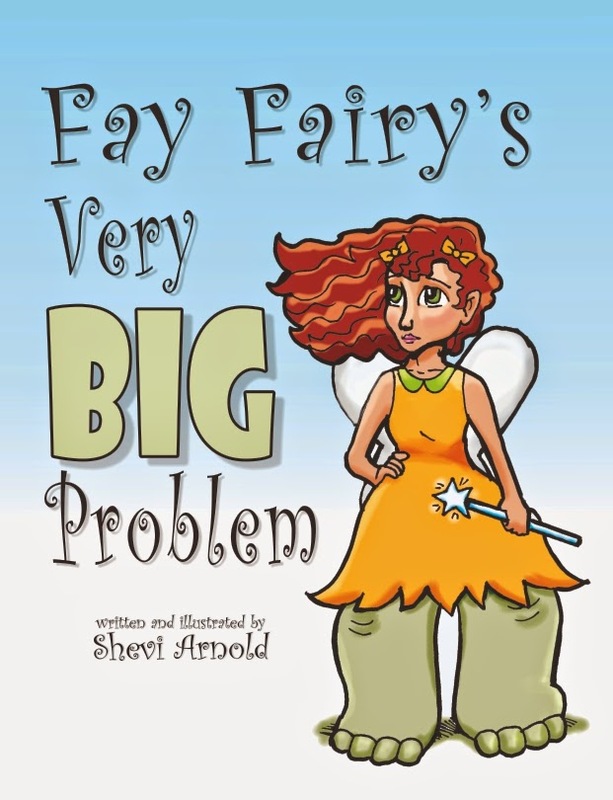 I picked CreateSpace for Fay Fairy’s Very BIG Problem. 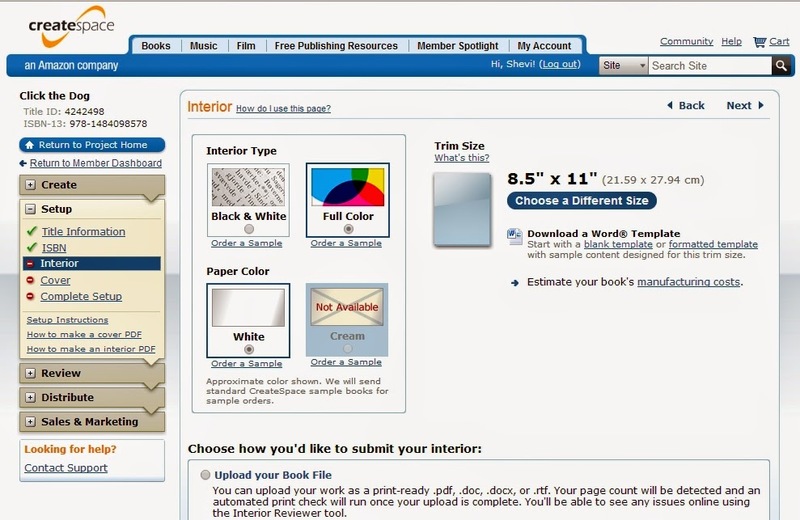 CreateSpace and Lightning Source are the two most popular printers for indie published books. 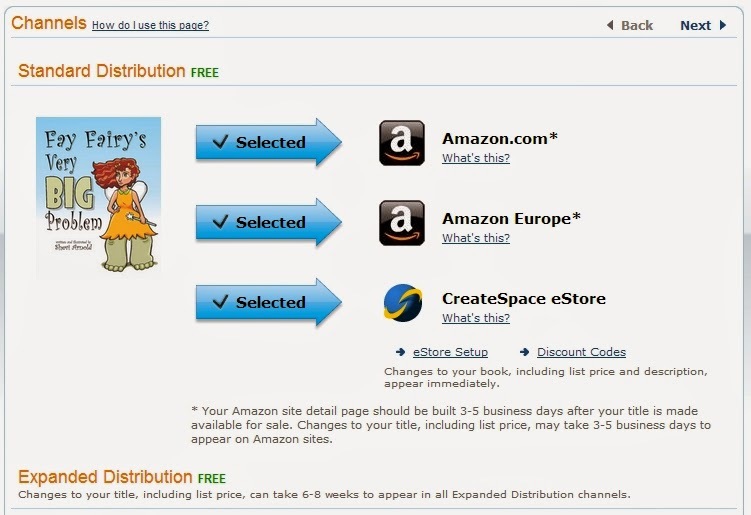 CreateSpace belongs to Amazon, which makes it super easy to get your book published with them available on Amazon. Lightning Source belongs to Ingram, which is one of the world’s largest distributors of books to schools, libraries, and brick-and-mortar bookstores, which means that using Lightning Source makes it easier to get your books into schools, libraries, and brick-and-mortar bookstores. 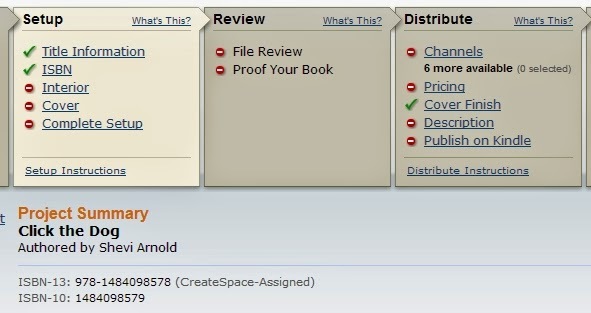 I use Lightning Source for my hard cover books, because CreateSpace has yet to offer hardcovers as an option; but I use CreateSpace for everything else because it’s just easier to work with—and it’s free. “Easier,” however, doesn't mean trouble-free, hence the problems I ran into and the need for this series. Okay, so now you know the why, who, and where. The next article in this series will deal with the most important question: how? The next article will be all about writing a picture book for publication. Don’t miss it!